Its the only flyer that has an attack that damages elemental. There's an anoying beast critter in the Lunarfall quest that switches his damage taken from beast to elemental. Got mine after approx. 30 nests! 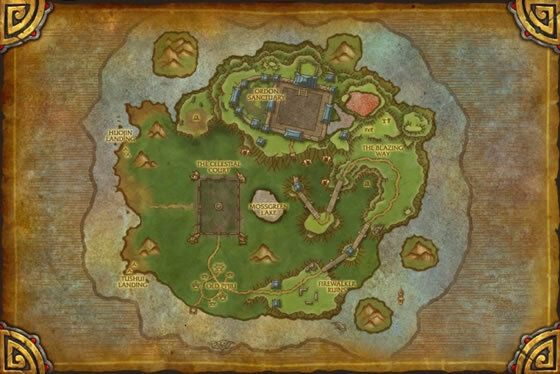 Spending some time on the Timeless Isle (is that possible). I will look for nests after those comments. Wow got this on my first nest! Love the pet! Aside from al lthe comments for "what is the drop rate on this chick" The breed that I found that works best is P/P, quills are pretty good but need another pet on your team that is fast to balance out and counter oponent, if required. I literally loot one about every 6-7 nests...on different toons, but still. I have guild mates who have the WORST luck with them, going to start giving them to them. One of the few 341 strength birds available. It doesn't come with much of defensive moves. Quills hits for alot. Then use Cleansing rain for a small team heal, but most importantly boost aquatic attacks by 25%. When you go below 50% health you will still hit first with Surge, and that move is further boosted by the rain. Pair it with an aquatic pet for some more synergy. Pretty good vs Crows, you know they will call darkness so do rain and then do surge, they don't get speed bonus. The item for this pet is rare, but the pet itself is uncommon. Oh good, we needed more Flyers to upgrade. I have looted 4 of these and 3 came from the same nest location, although I run up and down that area and not everytime I loot do I get one but worth a try. Nest is just right of village pier @ 33.1, 90.02. Good luck! Took 4hrs of looting nests and about 150g in total repair for this pet. Those cranes come at you like a monkey on a cupcake! Well, I must just have unbelievably bad luck, I have yet to get one from a nest after about 100 nests, I now own one thanks to a very lucky and kind guild member. He suggested that there might actually be a bit of a pattern to this after he managed to get 4 in one evening (about 2 hrs of on and off nest raiding). Not sure if it is, but it is an interesting possibility. I had been a Brewfest, and saw that EVERYONE had one. Well, almost. So, I thought I wanted one. So...I went to Timeless Isle, looted one nest. Not there. Ok, no big deal. THEN...ON THE SECOND NEST...THERE WAS ONE!!! I had never looted one before. So...The drop rate is HIGHLY unrealiable. I looted a blue, but I only find a green in my log, do they downgrade when learned? * see DeathPet'spost above. ANd I can confirm that they do downgrade, as I looted a second one as blue but green in journal. 3rd in day in.. my friend came and caged one for me after looting 5 nets.. yea RNG hate. I must be quite unlucky with this one. Almost 2 hours now of running from nest to nest, probably over a hundred by now. Yet, no pet so far. Seems to be a 5-10% drop rate. I've gotten several of them just from poking the occasional nest while running around looking for rares. All uncommon quality. 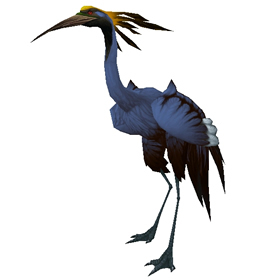 Crane chicks of the Timeless Isle sometimes sing a curious song that calms the nerves and soothes the soul.